This 36mm. 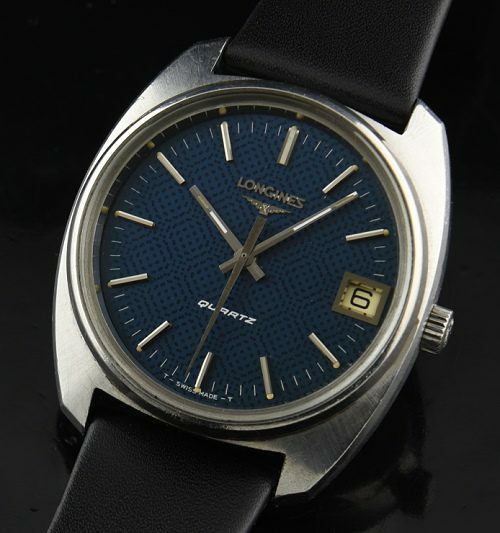 stainless steel LONGINES quartz is such a cool watch! Look at the interesting pattern on this blue ORIGINAL dial! The quartz movement is dead accurate. The crown is original LONGINES signed. The crystal is sapphire. This watch is reminiscent to the OMEGA Constellation “C”. I’ve not seen one of these prior to this example.